The Arnica group is a support network for parents led by parents. Its aim is to support families who want to adopt a more holistic approach to their health, whether they are already well versed in the subject or they want to know where to start, what it implies and where to get help to support their choice. It is a not for profit organisation which doesn’t advocate a specific way to health even if the alternatives to allopathic medicine such as homeopathy are preferred. If you wish to meet with local parents to discuss vaccines, antibiotics, good nutrition, natural remedies, etc. and the philosophy it entails, please feel free to subscribe to my newsletter and you’ll be informed of the talks and meetings taking place near you. Please check here regularly for the next meeting date. This medicine is based on the “law of similar” or “like cures like” : what a substance can cause, it can also treat. In full, the pattern of mental, emotional and physical symptoms a substance can induce in a healthy person, it can treat in the sick when prescribed in its dynamic (homeopathic) form. The father of medicine, Hippocrates himself, was probably the first homeopath as a famous quote of his is “Omoia Omoiois Eisin Iamata” can translate as “Similars cure Similars”. When disturbed, the body will find the least harmful way to solve the problem. 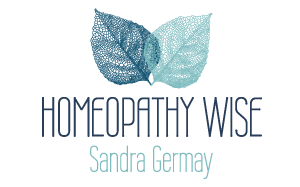 Homeopathy will help the body using the same strategy as the one it first chose. This approach is the opposite of the way allopathy is addressing a disease as for example if you are vomiting, it will give something to stop you from vomiting. If the body’s best answer is stopped by medical intervention, it is going to go for the next best option. Two main possibilities, either the body will increase the strength of the same symptoms or it is going to chose another expression, for example a skin disease like eczema can become a respiratory problem like asthma. An example of this law of similar: if you peel an onion, your eyes are going to burn and tear, your nose will be runny, you will probably sneeze etc. If a patient experiences the same pattern of symptoms, or “picture”, when having a cold or hayfever, Allium Cepa (red onion) will be prescribed.